Handig, snelkoppeling maken van Chrome zodat deze ook in safe mode kan starten; dat is zonder thema's en extensies. Firefox has an option that lets you temporarily disable themes and extensions, so you can still use your browser even if one of your add-ons is buggy. It's called safe mode and it's "a special Firefox execution mode that can be used to troubleshoot issues in Firefox. In Safe Mode, you can reset some settings or disable add-ons that might be the source of the issue. By comparing Firefox behavior in normal mode to its behavior in Safe Mode with various items disabled, you may be able to diagnose issues." 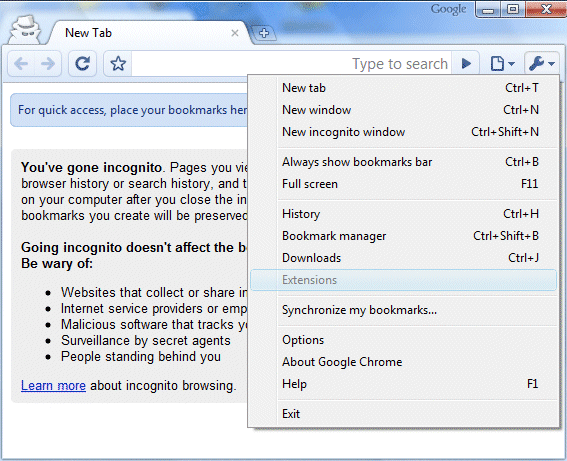 Google Chrome doesn't have this feature, but you can open an incognito window to temporarily disable extensions. 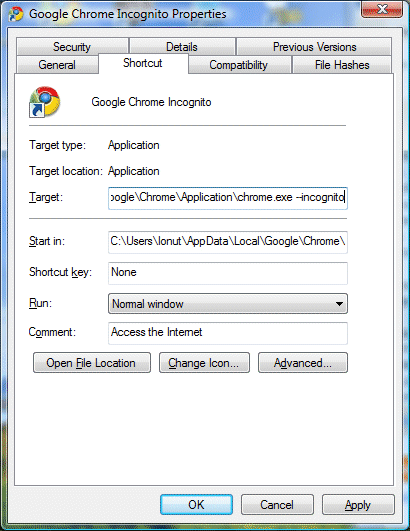 If you want to create a shortcut that opens Chrome in incognito mode, duplicate an existing Chrome shortcut, right-click on the shortcut, select "Properties" and append this flag to the target value: --incognito (don't forget to add a space to separate the flag).